Ten years ago, YolanDa Brown was studying a PhD in Management Science when a career in music came calling. 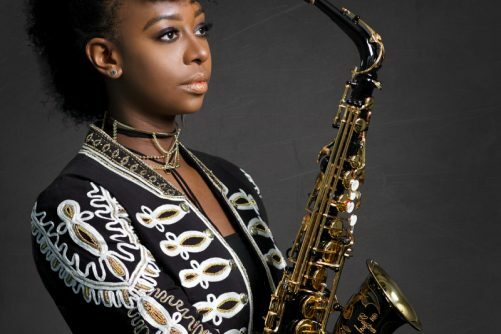 Now, the double MOBO Award-winner is the premier female saxophonist in the UK. Known for her unique fusion of reggae, jazz and soul, this concert features music from her critically-acclaimed albums, plus many crowd favourites. YolanDa has toured with Diana Krall, The Temptations and Billy Ocean; and collaborated with artists such as Snarky Puppy’s Bill Laurance, reggae legend Bob Marley’s son Julian, and the Royal Philharmonic Concert Orchestra. YolanDa is currently starring in her in her very own BBC show ‘Yolanda’s Jam Band’.